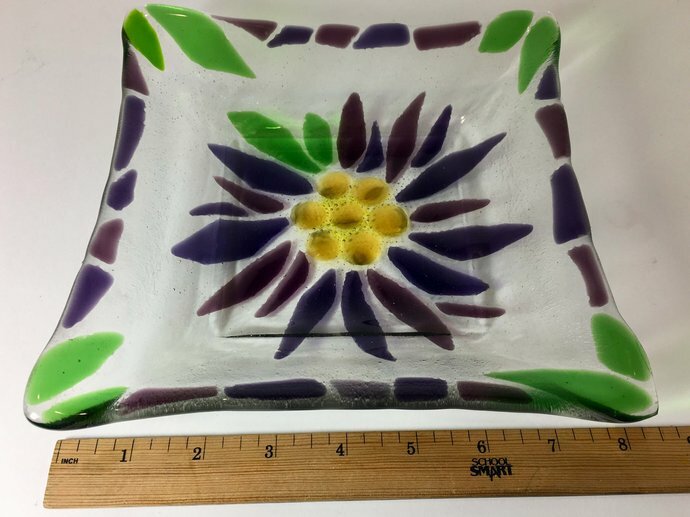 Square Floral Fruit Bowl in Handmade Fused Glass is decorated with a Purple Flower with Green Leaves. 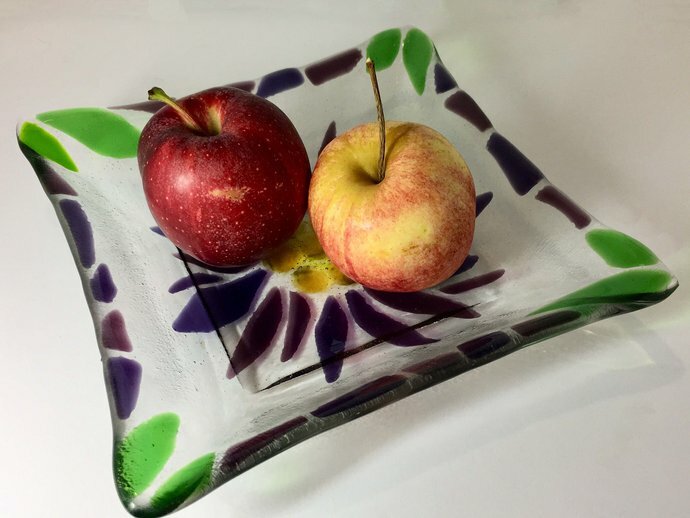 This unique serving bowl is great for serving rolls, salad, appetizers, pasta, displaying fresh fruit and breads and cheese. It would also make a unique one-of-a-kind housewarming gift, wedding or hostess gift. It will be 'Made to Order' especially for you, in your chosen colors so, each design will be very similar but not exact, adding to it's unique quality - Choose your colors in Variations. 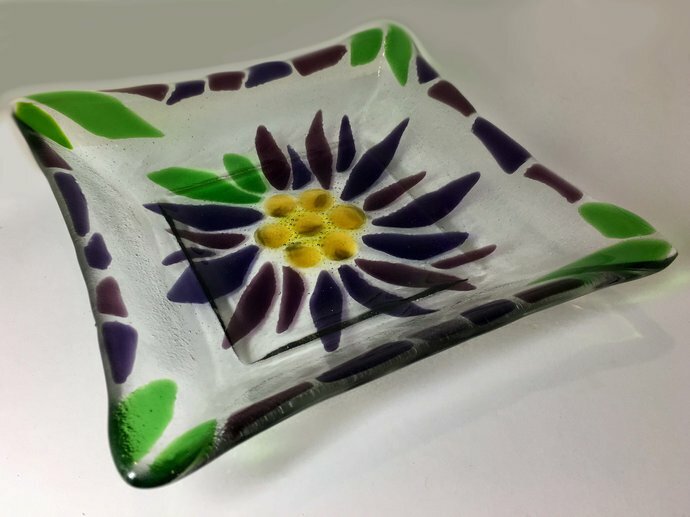 Each of my fused glass creations is created by hand-cutting the glass and then fusing the pieces together in kiln under 1450 degrees. After the initial firing, each bowl is then fired again into a 'slumping' mold to transform into it's bowl shape. Each of these pieces is crafted individually by me, and although they are kiln annealed for durability, they are still fragile if dropped or banged on a hard surface. ALL OF MY CREATIONS ARE MY ORIGINAL DESIGNS and are individually hand-crafted by me. The handmade quality and creativity are what set my work apart from mass-produced products. Color, size, tiny bubbles and texture variations contribute to the uniqueness of each piece. I LOVE SEEING how you use my glass creations in your own unique environment! Please feel free to share on Instagram and tag me @sycamorecindi . Feel free to leave a review with a photo.